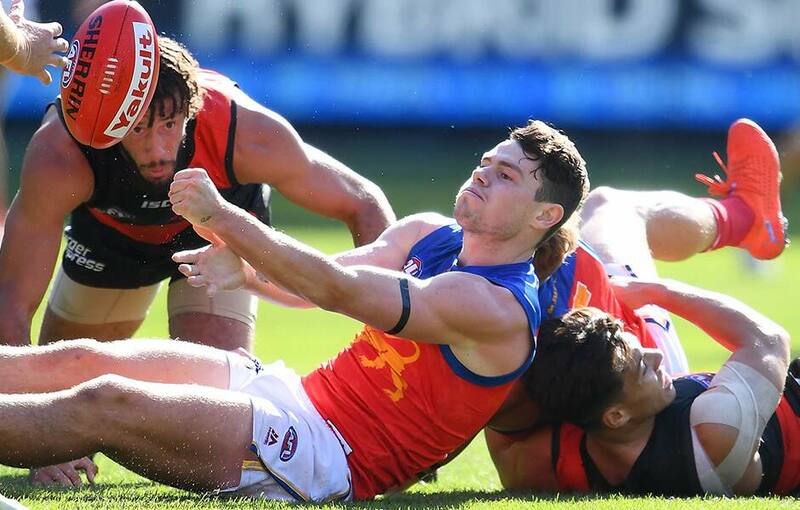 Essendon Bombers controlled the Round 4 clash at the MCG on Saturday afternoon, defeating the previously unbeaten Brisbane Lions by 47 points. While Lachie Neale continued to win plenty of ball for the Lions, the Bombers just had many more contributors in the midfield, with Zach Merrett and David Zaharakis chief among them. Brownlow Medal fancy Lachie Neale was still prolific, racking up 40 disposals, 22 contested, and eight clearances. Yet Neale's impact was limited as the Bombers midfield got the upper hand from the outset. In reality, that's where the damage was done, with the Dons putting their stamp on the contest in the first half, breaking from stoppages with more speed. A feature of the Lions' three straight victories to start the year had been its fast finishes, with the young Lions brave in holding their nerve to close out a series of tight matches. Indeed, the Lions attempted to make something out of the second half. It kicked four of six goals in the third term, but only managed to reduce a hefty deficit marginally.